For many years fertility clinics have been able to detect chromosomal abnormalities through pre-implantation genetic diagnostics (PGD). This genetic screening is used to identify any genetic mutations that have been passed on to in vitro fertilised (IVF) embryos from the parents. However, new breakthrough research is bringing chromosome scanning to a whole new level. In a paper recently publish in Genome Research, scientists from the largest American genetic laboratory specialising in PGD (Reprogenetics) have confirmed that they now have the technology to detect de novo single base mutations in embryos following IVF. Reprogenetic scientists collaborated with other genetic specialists from the New York University Fertility Centre and China-based Complete Genetics in this pioneering research. De novo mutations are those genetic anomalies that arise spontaneously in the sperm or egg and are not genetically transferred from either parent. It’s these types of mutations that scientists believe are responsible for a large percentage of severe intellectual disabilities, epileptic encephalopathies, autism, and other congenital disorders. 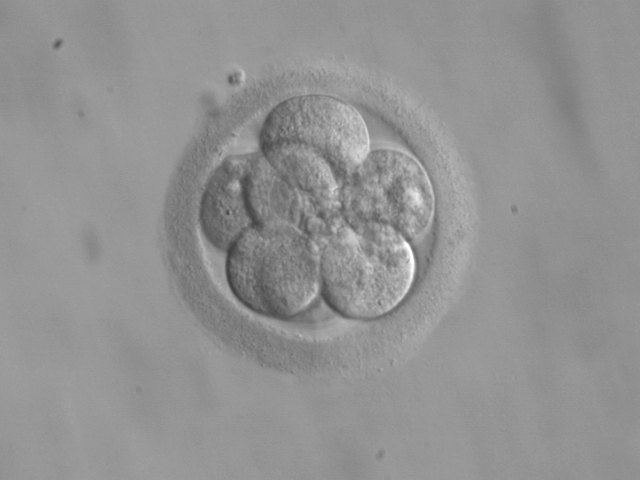 The whole genome sequencing technique developed to determine de novo mutations requires biopsies of the IVF embryos. Using a five-day old embryo at the blastocyst stage, scientists take five to ten cell biopsies to analyse. Since this is a very small number, the extracted DNA must be amplified. This involves biochemical technology using a polymerase chain reaction to generate thousands of copies of the DNA sequence. The problem with DNA amplification is that it introduces thousands of errors. These errors can be wrongly interpreted as de novo mutations. However, this new research by Peters and colleagues utilises a new technique called Long Fragment Read (LFR) technology. This technique reduces the error rate by around 100 fold compared with previous studies. LFR enables researchers to allocate DNA fragments to the paternal or maternal genome utilising DNA barcodes. “Because each individual carries on average less than 100 de novo mutations, being able to detect and assign parent of origin for these mutations, which are the cause of many diseases, required this extremely low error rate,” explains researchers. In this study comparing two embryos from the same couple, Peters and colleagues couldn’t find any de nova mutations in one embryo. However, the protein-coding regions of the genome in the other embryo exhibited two mutations in the SLC26A10 and ZNF266 genes. This highlighted potentially damaging de novo mutations, with 82% of all changes detected in the IVF embryos. Never before have scientists been able to identify the vast majority of single base de novo mutations using a PGD test. The researchers admit that “the biggest hurdle now is one of how to analyze the medical impact of detected mutations and make decisions based on those results.” The actual health consequences of defective de novo mutations are unclear and this requires further research and analysis. Undoubtedly this is exciting new research into IVF embryo genetic code and it opens avenues for couples undergoing IVF treatment to select the healthiest possible embryo. To some extent this option is already available with the ability to identify chromosomal anomalies genetically acquired from the parents. However, this new study may take this screening to a whole new level. In the future, parents of IVF babies may choose to only use embryos that have been tested and cleared of de novo mutations, thus reducing the risk of various genetic diseases. Yet, ethically and morally, these new developments open a whole new area of debate. In the meantime we can expect to see more research of this nature, as scientists work to further unravel genetic codes and how they impact human development.